I’ve started reading Tim Harford’s book, Messy: The Power of Disorder to Transform Our Lives. Its basic thrust is that creativity is fostered not by carefully organizing our time and ideas, but by allowing disorder to interrupt our routines. One way to induce this creative messiness, Harford argues, is by introducing random stimuli to trigger new ways of thinking. So, for example, when I taught a workshop on creativity recently for a group of researchers out at Oxford, we did a “random word” exercise. I had them open to a random page of whatever they happened to be carrying – a book, a magazine, instructions for a writing exercise – and select the eighth word on that page. I then asked them to use that word – whatever it happened to be – to help them generate new ways of thinking about a challenge they were facing in their lives: personal…professional…in their research. I myself did something similar yesterday. I was on a day out with a group of coaches and clients at The Writing Coach, where I work as a consultant. These periodic gatherings are a way to foster real life interaction among a community of writers that is otherwise largely virtual. As the gathering was held at The National Portrait Gallery in London, our fearless leader suggested that we might also use this as an opportunity to do some writing. So she handed out a list of random words and invited us to use them as a prompt for some aspect of our writing – e.g., a character, a scene, a setting – as we gazed upon the pictures. It was your proverbial “artist’s date,” in Julia Cameron parlance. As I strode through the early 20th century wing of the museum, I reflected upon this word and its myriad meanings. And I realized that “resurfacing” was a wonderful prism through which to think about the current stage of my professional life. As I embrace a portfolio career, I am in many ways “resurfacing” the different aspects of my professional self: the writer, the editor, the coach, the teacher…even the project manager. Just as I could readily detect where some of the modernist artists had applied new layers of paint to their renderings of, say, James Joyce, the original image was still visible underneath. Together, they yielded one person, rendered simultaneously through multiple angles. At the same time, however, I also feel that I am reappearing to myself – as my whole self – after being absent for a long period of time. And in so doing, I am rising to the surface of the water in a new, more integrated form. I’ve long been an advocate of choosing concepts, not lists, to frame my New Year’s resolutions. As of yesterday, however, I think I’m also going to embrace the idea of choosing words as a metaphor for self. Is there a word that’s helped you to redefine yourself? Have you ever used a randomness strategy to stimulate your thinking? On occasional Wednesdays I offer tips for adulthood. I did a lot of acting when I was a child. Early family productions of the Nativity story featured me, as Mary, screaming “The Baby is Coming! The Baby is Coming!” as my brother dropped a Baby Tenderlove™ doll onto my lap from the top of the staircase. This gave way to star turns in plays such as The Miracle Worker in Junior High (Helen Keller) and Pride and Prejudice in High School (Elizabeth Bennett).But somewhere along the way, I stopped acting and got serious about the business of life. Big mistake. Fast forward 35 years and I am rediscovering my thespian roots. Prompted in part by losing my job – but also responding to a deeper desire to get in touch with my creative self – I signed myself up for an improv acting course last autumn. Much to my delight, it’s had all sorts of benefits that go way beyond getting me back on the stage. When contemplating an acting class, I deliberately selected improv because I knew that for someone as organized as myself, it was important to be in a performance space that was as freeing as possible. A script always threatens the possibility that you’ll focus so much on learning the lines that you’ll forget what the scene is actually about. Whereas in improv, it all comes from within and whatever emotions you bring in that moment. Better still, you’re always under time pressure, so trying to get something perfect goes right out the window. Don’t think. Just do. Which is, oh!, so therapeutic. It makes you more tolerant. But the value of “Yes, and” goes way beyond the theatrical. You can also use it in real world conversations, much like the “Is there Anything Else?” game my husband and I sometimes play to resolve conflicts. LINK The idea is to just say “yes” instead of instinctively saying “No.” By opening up conversations, rather than shutting them down, you learn to be more tolerant and less critical. Imagine if the next time your spouse came in and said “This again for dinner?” instead of replying with an expletive or hitting him/her over the head with your frying pan you responded, “Yes, and I can’t wait to eat it with you!” Try it! But now that I’m grown up, I find that I actually welcome group work, especially if it’s on something creative. There’s a certain relief that comes from realizing that everything doesn’t sit entirely on your shoulders. And what you create is almost invariably more interesting than what you might have done on your own. Improv is a really good way to get people to appreciate the value of other people’s skill sets. You also learn how to listen to each other more carefully, which is only ever a good thing. Finally, improv is really fun. And that’s because people come up with the strangest things to say that will throw you completely off your game. And those gems will crack you up. You’ll also laugh at yourself. I rarely re-read books. That’s partly a space thing – I live in a small house – and and partly that there’s just too damn much out there I want to read to bother going back. But this past week I’ve had the very odd experience of not just re-reading a book, but doing so immediately after putting it down. The book in question is Julia Cameron’s The Artist Way, a best-selling self-help book designed to help you unblock your creativity. Doing this three-month course has been one of the big projects I’ve tackled since being laid off from my job. And the reason I re-read it is that the very last task Cameron assigns her readers when they’ve completed their 12 weeks is to go back and re-read the book, before doing anything else. It’s an amazing book and has been a transformative experience for me both creatively and personally (more on that another time). And yet, I was still skeptical, and considered whether I should ignore this task altogether. But I trust Cameron, so I gave it a shot. a. Morning Pages Matter. These are the three pages of hand-written writing you do every day when you wake up. They are *the* most important element of the creative recovery. I was very open to this idea when she suggested it, but I thought it would serve merely as a way to dump all the anxiety out of my head that had accrued overnight while I was sleeping, so that I could put that aside before I started writing. (It does.) I never imagined the morning pages would also serve my writing directly . Since starting to journal first thing every morning, ideas have emerged that have been directly channeled into blog posts, personal essays, fiction and my book project itself. When I went back through the book and also re-read my morning pages, I could trace this evolution very clearly. b. The Artist’s Date is a Date. The other pillar of Cameron’s exercises is a weekly (or more) “artist’s date” – what she describes as “a block of time set aside to nurture your creative consciousness.” It took me about four weeks until I realized that I’d gotten this concept entirely wrong. I thought the Artist’s Date was just about setting aside time to execute a creative project (e.g. writing). So I keep giving myself a pat on the back when I spent some time writing every day. “Heh,” I thought. “I’m doing an artist’s date every day – this is easy!” But that’s *not* what the Artist’s Date is. It’s about going out and doing something fun to fuel your creativity, not your creative project itself. So going for a walk and collecting leaves counts. Grabbing your guitar and singing a tune counts. I started taking an improvisation acting course – that’s my main artist’s date these days. I’m so glad I figured this out! c. Affirmations: External vs. Internal. To jump-start the creative recovery process, Cameron suggests that you make a list of “affirmations”- i.e., specific pieces of praise you’ve gotten from other people that will make you feel more confident about undergoing your journey of creative self-discovery. My big realization when I read the book through for a second time was that while all of my affirmations when I started the course were external – i.e,. a letter of gratitude from a colleague, an inspiring comment from a reader of my blog – by the end of the course they were largely internal – i.e., me telling myself something positive about my writing/myself. Cameron never says that’s supposed to happen, but I am very happy that it did. d. Images help imagine you into your future self. Cameron also advocates compiling an ongoing collection of images of things you like and/or signify your future self as a way to remind you about the tangible things that contribute to your creative happiness. At first, I was dubious. I’m not a terribly visual person and I didn’t feel like taking time out of my day to hunt for images of a typewriter on Google. But I did it (I’m an upholder, after all! ), and soon I found myself making a list of images I wanted to collect – like making jewelry and reading on beaches and other aspects of the “ideal life” I’m composing for myself – and adding to that folder from time to time. Re-reading the book reminded me of my initial (misguided) reluctance to do the image homework. e. Creativity and God. Cameron is very religious and she makes this very clear from the get-go, even though she doesn’t force you to buy into the concept. If you’re more comfortable talking about a “creative force,” so be it – all of her advice still applies. I’m deeply ambivalent about religion and so initially the whole God thing didn’t work for me. I was actually worried early on that it might put me off the whole process. But I hung in there and discovered that not only did Cameron’s vision of God work for me – (she likes to think of God as a generous, supportive force rather than a punitive, miserly one), I realized that sorting this out was absolutely fundamental to the creative catharsis I subsequently underwent. If you’re thinking of a holiday gift for someone and you sense they may have an artist trapped deep inside them, I’d urge you to get them this book. One of the hardest things about being a writer isn’t finding the time to write. It’s learning how to set up a space – physical, emotional, spiritual – that enables you to be creative. Accessing that creative space isn’t unique to writing. It’s something all artists need to do. I have a painter friend, for example, who begins each day with the following ritual: First, he cleans his pallet of the prior days’ work. This is the most important part for him. Having his tools fresh and clean and all laid out in front of him allows him to sweep away the toil and struggle from the day before, thereby opening up new artistic possibilities. Then he puts on some music. He also makes sure to always have numerous pieces in progress hanging in his studio. He takes some time looking at them until one catches his attention and then he begins work on that. When he gets really stuck, he tries something completely new. My routine isn’t all that different. In order to “cleanse my pallet” of the prior day’s work, I spend one hour – but no more than one hour – editing whatever it was I was last working on the day before. This might be a chapter from my book, a blog post, or a personal essay. Spending one hour editing allows me to feel that I’ve “fixed” whatever it was that I allowed myself to leave on a loose end the day before. If other thoughts come to me while I’m in editing mode – sometimes it’s just a snippet of an idea or an image – I jot them down in a notebook so that I can remember to file them in the appropriate place later on. Then I start the main project I’m working on and continue to pursue that for the next several hours. Even if it’s completely different from the piece I was editing, having spent an hour editing one project frees me up to be creative somewhere else. When I get stuck, I start a new chapter. And I never, ever listen to music while I’m writing. I also have a few gimmicks I employ to get myself started. For instance, I never start writing until the minute hand is resting on one of the numbers on the clock face. So, for example, if I sit down at my desk at 9:17 a.m., I wait until 9:20 to start writing. Why do I do this? Lord knows. But I’ve been doing it for so long that, at this point, I need to do it in order to begin working. Other writers have their own rituals. Some people need to face a blank wall in order to start. Others need to have a view out a window. One friend always eats an apple before she begins. Philip Roth famously wrote standing up. Lately, I’ve been focusing less on my creative routines and more on my creative environment. On the advice of Julia Cameron – of The Artist’s Way fame – I’ve made sure that my physical writing space is an upbeat one. So I’ve taken everything off my desk that’s dull and administrative and left only a handful of objects that make me happy, including: a ceramic heart my son made for me when he was seven on Valentine’s Day…two pins that read “15 Today” which my husband and I wore out to a restaurant on our 15th anniversary…a miniature Big Ben trinket that someone gave me for my key chain when I moved to London for good luck. I’ve also hung up some quotes – what Cameron calls “affirmations” – above my desk, that are there to remind me to feel confident as I embark upon my creative endeavours. When I left my job, a colleague friend gave me two cards – one that read “You are a flamingo in a flock of ordinary seagulls” and one that read “You leave a little bit of sparkle wherever you go.” I look at those quotes every morning to remind myself of what I can bring to the world. Finally, I’ve even started to “dress” for writing. A friend of mine just published a (great!) book entitled Legendary Authors and the Clothes They Wore. It’s a book about the mutually reinforcing relationship between an author’s signature look and their writing style. At her book launch in London, my friend was asked if she had a “uniform” that she wore while writing the book. Turns out that she did: even if she was going to spend the entire day at home and never see a soul, she dressed up in a nice frock to inspire herself to tackle this material. In a similar vein, right before I left my old job, a younger colleague whom I’d mentored gave me a necklace with the words @RealDelia inscribed on a small pendant. For me, that necklace symbolizes this blog, which I launched way back when as a way of rediscovering my voice as an adult and sharing those insights with others. I wear the necklace now when I’m writing my book to remind myself to always circle back to the authentic me. The bottom line is that creativity isn’t just about having the talent or the time. It’s about being able to readily call up whatever it is inside you that draws that creativity out. And it takes awhile to figure out which routines and props are most conducive to that process. How do you access your creative space? I’d love to know. For my mother’s 79th birthday later this month, her four children are going to give her an e-reader. We have yet to decide which one to give her, but she’s very keen to join this trend. As a frequent traveler, and avid reader, she finds that she’s always lugging 12 hard-cover books wherever she goes (often London to visit me!). So she’d like to lighten her load. Apparently, several of her friends already have e-readers and they are all thrilled with them. I have mixed feelings about this present. On the one hand, as someone who — by her own admission — barely has running water and electricity, my mother is not exactly what you’d call techno-savvy. So there is a dragging-her-into-the-21st century quality to this gift, which, as someone who spends all day online, I welcome with open arms. On the other hand, I’m also wary of the onslaught of e-readers. I worry about what happens to our society when we no longer read those great artifacts of the 20th century: books. 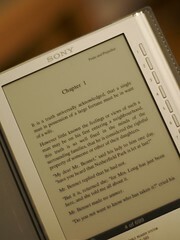 Image: 23/365 plus 1 [eReader] by The Hamster Factor via flickr under a Creative Commons license. In my own case, I’ve been trying to pay attention to how and when I come up with ideas – for blog posts, for feature articles, for possible future novels. And what I’ve noticed is that a lot of my ideas seem to come when I’m doing something *other than* sitting at the computer typing. So today, I thought that I’d share some of my own techniques for coming up with ideas, with the hope that these may prove interesting – as well as useful – to others. While I focus on writing, I imagine that some of these same strategies may be pertinent to other fields as well. 1.Exercise. When I’m confused about an idea, not sure how to spin it or just wondering if there’s even a “there there,” it’s amazing how often a simple run will solve my problem. I may not go out on the run intending to think about that issue. But if there’s something kicking around the back of my mind, I often find that the combination of forward motion, exertion and fresh air allow everything to fall in place. A friend of mine who’s a novelist does the same thing with bike rides. He has a summer house in France and he tells me that he spends the afternoons taking long bike rides and by the next morning, he’s got loads of fresh material. The trick is to rush inside right after you’re done and jot down the main ideas. 2. Take a Thinking Shower. This one comes from grad school. During my first few years in graduate school, we were required to take a series of exams in order to qualify in various fields. They were called “field exams” and in my department, at least, they consisted of a series of essays which you research and wrote over the course of a weekend. Needless to say, I don’t think any of us got much sleep during those weekends. But I did have one friend who always seemed to be in the shower when I’d phone to see how she was getting on with her exams. “The shower?” I’d ask, perplexed, wondering who could possibly bathe regularly when they had so little time to get these things done. “It’s a thinking shower,” she’d respond. She found that burst of hot water on her face actually enabled her to outline her essays. So I tried it. So should you. 4. Ask yourself what’s the most striking thing someone said to you in the last week. Very often for blog posts – and even for posts about politics – I find that when I want to come up with an idea, I just think about the most striking or unusual thing something’s said to me in the past week. Often that person is one of my children. (“Why is God so famous?“) But sometimes it’s someone I just happen to run into. Like the friend I saw on election day who’d just joined the Labour party after living here for 20 years – even though she knew they’d lose – because she wanted to have a say in the party’s future. Or the dad at school drop-off this morning who told me why pink was a color historically associated with boys. Or the guy I met at a dinner party who told me that he picks what movies he sees based solely on the poster. (Whaaaa???) Whenever this happens, I grab my pen and scribble it down. 5. Go outside for a walk. This suggestion comes from one of my all-time favorite creative people: writer, singer and radio-show host Garrison Keillor. In an oped for the International Herald Tribune a few years back, Keillor gave this advice to aspiring writers: “A long walk also brings you into contact with the world, which is basic journalism, which most writing is. It isn’t about you and your feelings so much as about what people wear and how they talk. The superficial is never to be overlooked.” Simply put, when you go outside you notice things. And that’s what it’s all about. OK, now it’s your turn. How do you generate ideas for your work? 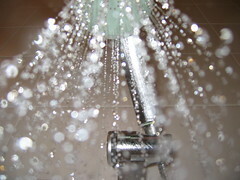 Image: Take A Shower by .m for matthijs via Flickr under a Creative Commons License. DVD Commentaries: Why I Actually Loved "Love Actually"
I have a confession to make: I love watching DVD commentaries. I liked the film so-so. But I loved the commentary. Why? So when Curtis, for example, talks about why he chose a particular piece of music or why he cast Laura Linney in a film otherwise dominated by European actors or why the lighting was particularly challenging in a given scene, I feel like I’m gaining insight into not just the movie, but into the whole world of directing itself. The other reason I like to watch commentaries is that I love to watch people who love their work. It’s so hard to figure out what you really love to do. So when I happen upon someone like Curtis, who’s clearly found his calling, I find it not just enlightening, but joyful. It’s the same way I felt last week when I went to see Garrison Keillor perform live in London. Keillor – best known for his quirky public radio show A Prairie Home Companion – is also a syndicated columnist and singer/songwriter. He is funny, touching, ribald and irreverent. But most importantly – whether he’s reciting a poem or singing a song or telling a story – he’s clearly having a blast. Talk about someone who’s found his niche. So there you have it. And having now outed myself as a serial DVD commentary viewer – not to mention an abiding Garrison Keillor fan – I feel much better. I’m glad I finally cleared the air. Check out the blog Daily Routines to find out how artists, writers and other creative folk structure their days. I also enjoy By Henry Sene Yee Design, which examines the creative impulse behind book covers. 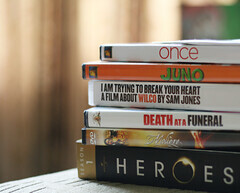 Image: DVDs! by THEMACGIRL via Flickr under a Creative Commons License. A friend of mine sent me this article in the London Times from last week about second novels. It’s a story about the pressure on novelists who strike it big with their first novel – like Audrey Niffenegger, author of The Time Travelers Wife – to repeat this success the second time around. The article goes on to list famous books that were spectacular second novels but which followed on barely noticed first novels – Pride and Prejudice, Ulysses, Midnight’s Children – to name a few. It also lists cursed second novels that followed on huge successes – Something Happened by Joseph Heller after Catch 22, for example, or Thirteen Moons by Charles Frazier after Cold Mountain – as well as one hit wonders that were never followed by anything at all. To Kill a Mockingbird and Gone With the Wind both fall in the last category. I keep that quotation in my head a lot. And it doesn’t apply just to writing or the creative life. With a little elbow grease, we can all get better at what we do (though if I’d written To Kill A Mockingbird I might have put down my pen and called it a day too). Any other great second novels on your list? As we grow older, we often begin experimenting with different kinds of creative projects in order to keep our juices flowing or just to have a change of pace. For some, it’s pottery; for others, creative writing. Others join a singing group. Today I’m guest blogging over at The Urban Muse, a terrific website that offers useful tips for writers of all kinds. My post is about how one goes about setting up the mental space that allows that creativity to flow.